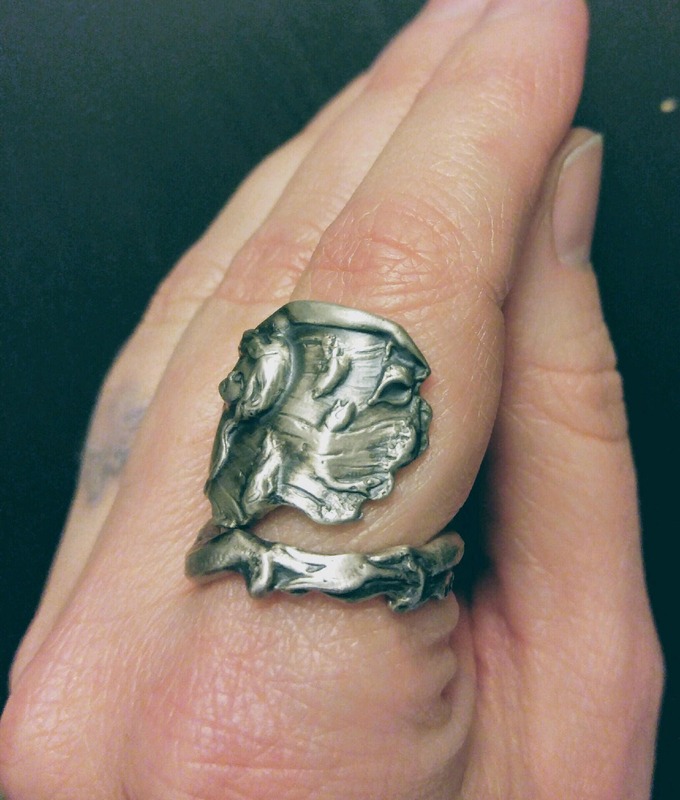 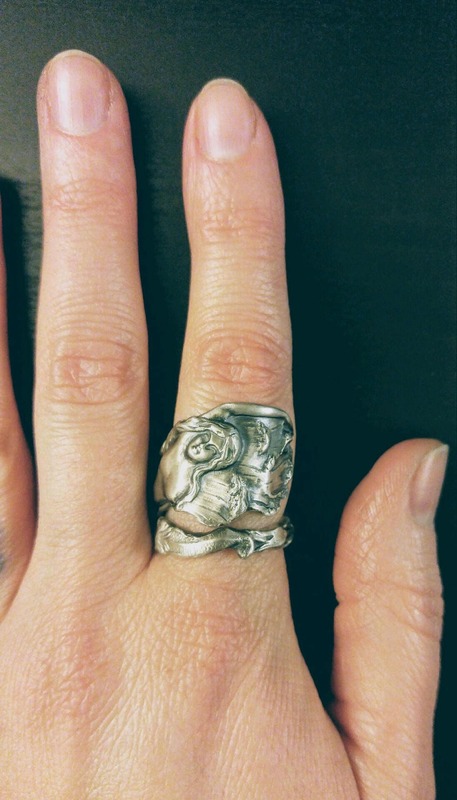 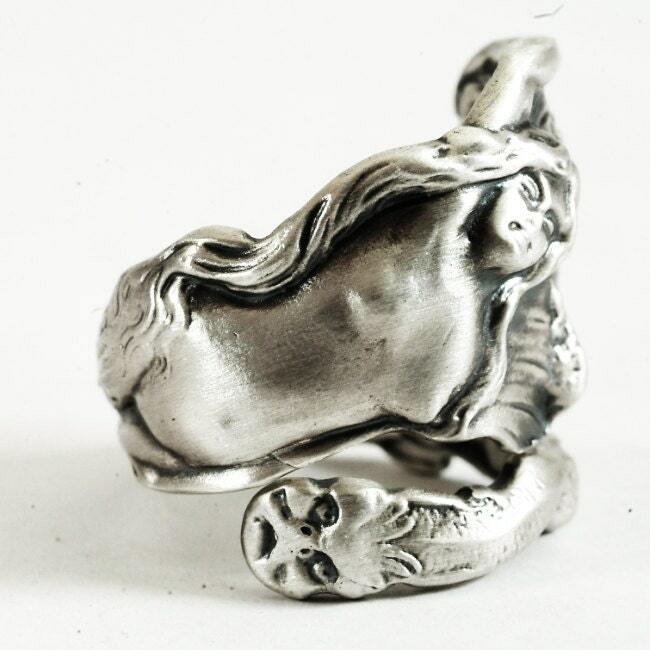 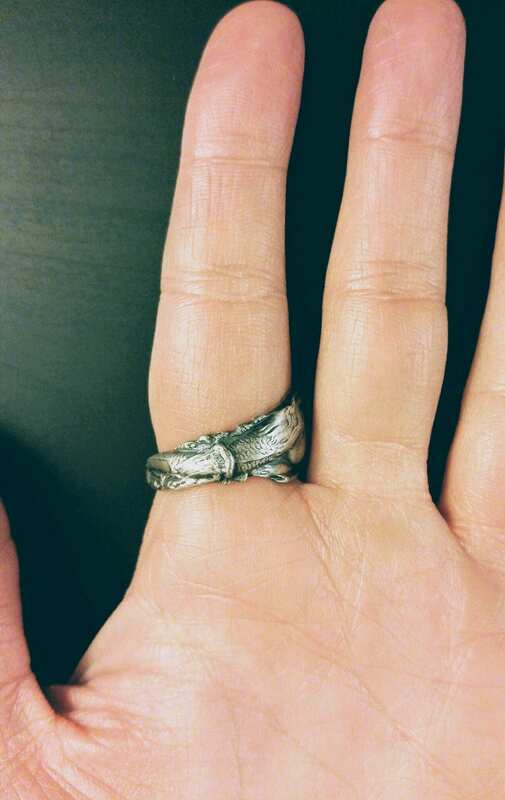 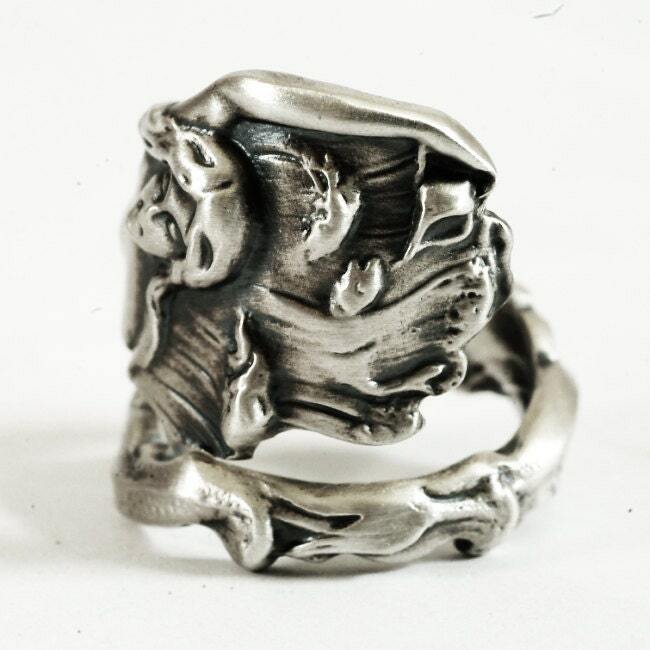 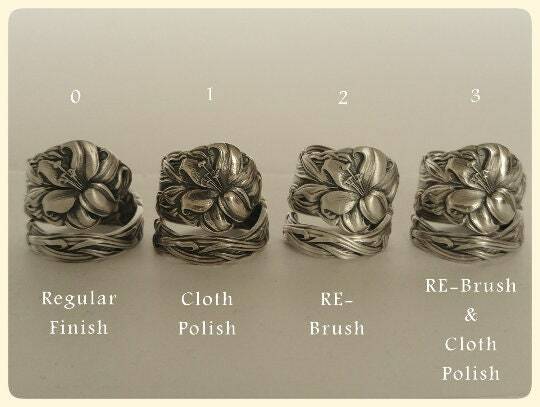 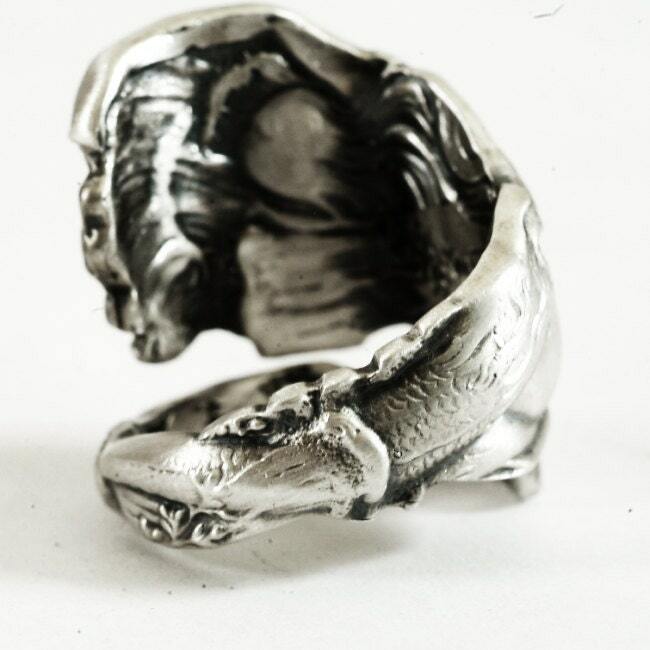 Mermaid Spoon ring made in sterling silver to your size! 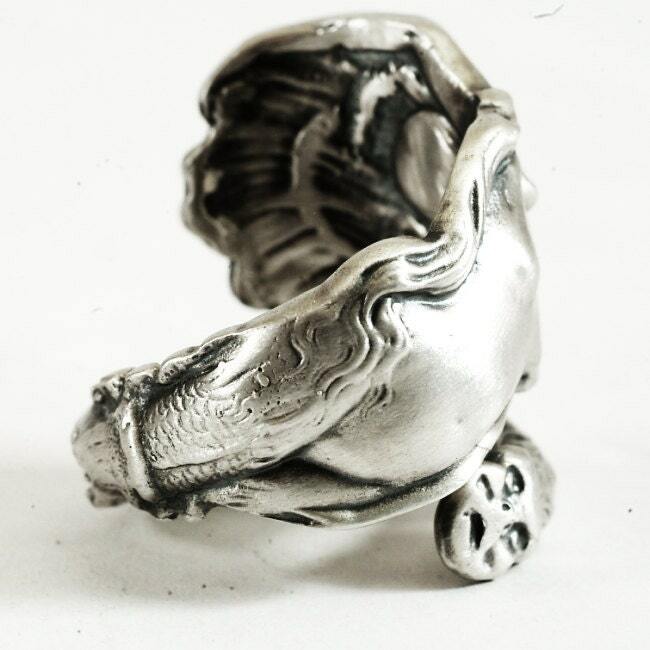 Mermaid rises in front of a cresting wave with great attention to detail. 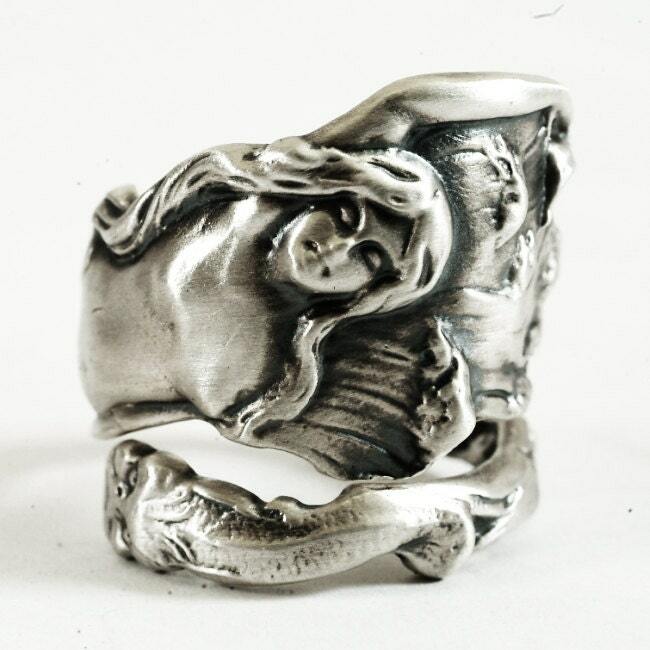 Her soft features evoke the famous Boticelli painting "The Birth of Venus."